This post very much carries on from the topic of our last research post – manual therapy. This time round we are very much looking at the use of manual therapy in the traditional sense of spinal manipulation for the management of chronic low back pain. The article we are going to look at is a systematic & meta-analysis which was written by Rubinstein et al and published a couple of days ago in the BMJ. 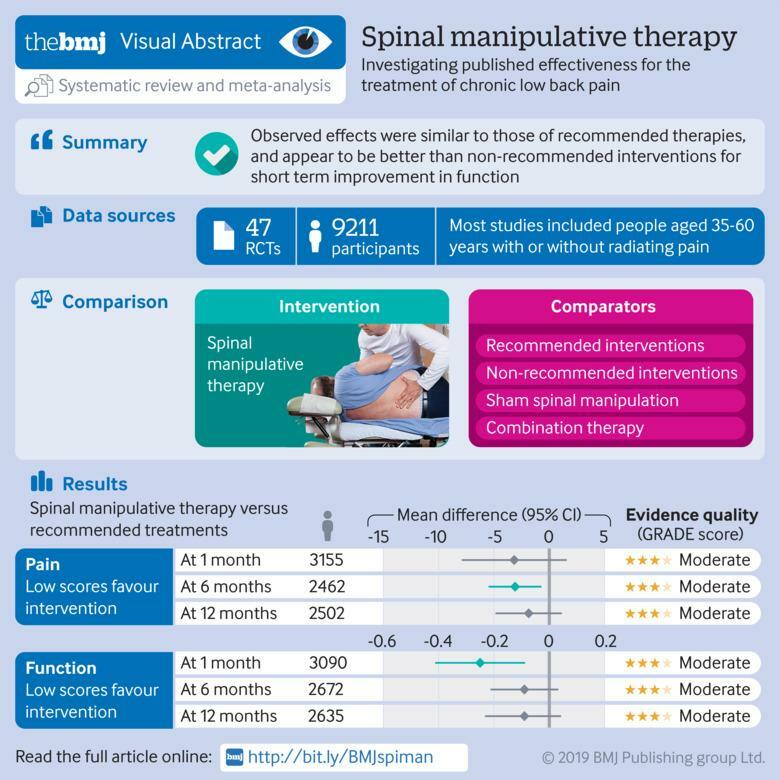 The aim of the systematic review was to assess the benefits and harms of spinal manipulative therapy (SMT) when used to treat chronic low back pain. In this review SMT includes any hands on treatment of the spine inclusive of mobilisation and manipulation of any grade or amplitude. There were a number of outcomes the team were investigating. Primarily they were interested in the effectiveness of SMT at reducing pain, improving function in the short, medium and long term when compared to control treatments. They were also interested in rates of return to work and QoL. Overall 47 RCTs were included within the review involving a total of 9211 participants. 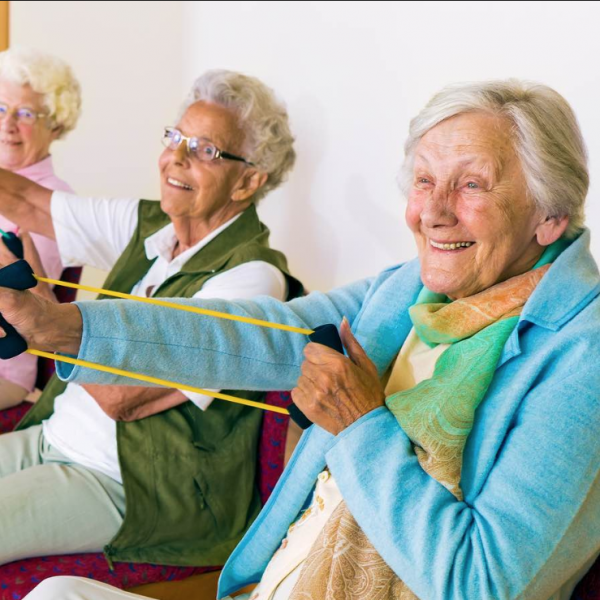 The aged ranged from 35-60 and they had suffered from back pain from months to years. Unfortunately not all studies included within the review referenced differences between exacerbations of pain or persistent symptoms. Overall the review showed that there is moderate evidence to suggest that SMT has similar results to recommended therapies in pain relief for chronic LBP in the short, medium and long term. There was some suggestion in the results to suggest that when added as an adjuvant therapy SMT contributes to give better short term pain relief. This isn’t to say SMT should replace all other treatments for LBP. It should be part of a treatment package which included SMT if/when indicated but MUST have an exercise component. As it is a passive treatment it may prevent patient engagement if it is relied upon as a standalone management plan.